Collaborative divorce is a new method for resolving divorce, custody, child support, alimony, and property disputes using alternative dispute resolution and not litigation. The couple selects two attorneys who agree to represent them without going to court. The lawyers and the parties agree in advance by signing a “Participation Agreement” that neither of them will file litigation. If the case cannot be resolved the lawyers agree to withdraw from the case and the couple will need to hire new attorneys for litigation. The Agreement sets forth the obligations of the parties. It is typical to have provisions allowing the parties to retain neutral experts to assist with the divorce. Divorce, irrespective of the reasons, is tough emotionally. Often the process gets more difficult due to unending litigation, which further fuels the deep-seated animosity between the ‘once-married’ couple, who now practically hate each other. This is not only expensive but can have severe emotional impact on the child/children. The Collaborative Law process ensures that divorce occurs in a civilized way so that dignities of both partners are intact and with minimum impact on children. You and your spouse would each have your own collaborative attorney. 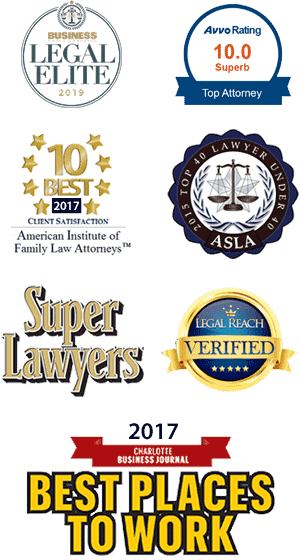 The two attorney-client teams work with each other and with a range of expert professionals to resolve all important post-divorce issues like spousal support/alimony, child custody, support, and property division. The expert professionals may include financial consultants, child psychologists and others who provide their expert opinion on a particular area with a view to resolving conflict in that area. Collaborative divorce is not about who wins or loses, but rather about both parties reaching a win-win solution. Prior to initiating the collaborative process, a Participation Agreement is signed between the two clients and all professionals involved, including the attorneys. The Agreement states that there will be full disclosure of financial matters and absolute confidentiality maintained on all matters discussed. It also states that both parties will reach a written agreement on all issues without going to court. A stipulation of the Participation Agreement is that all professionals including attorneys will withdraw their services if either party decides to litigate. Once all issues are resolved and the separation agreement is finalized, the respective attorneys initiate the legal paperwork to get the official divorce decree from the court. After the divorce, spouses are often required to constantly meet and work with each other, especially if children are involved. Collaborative divorce ensures that spouses are able to maintain respect and cordiality for each other. We at McIlveen Family Law Firm have trained collaborative attorneys who can help you through your collaborative divorce. We ensure that agreements reached on all issues are based on expert opinions and in a manner that has your best interests at heart.